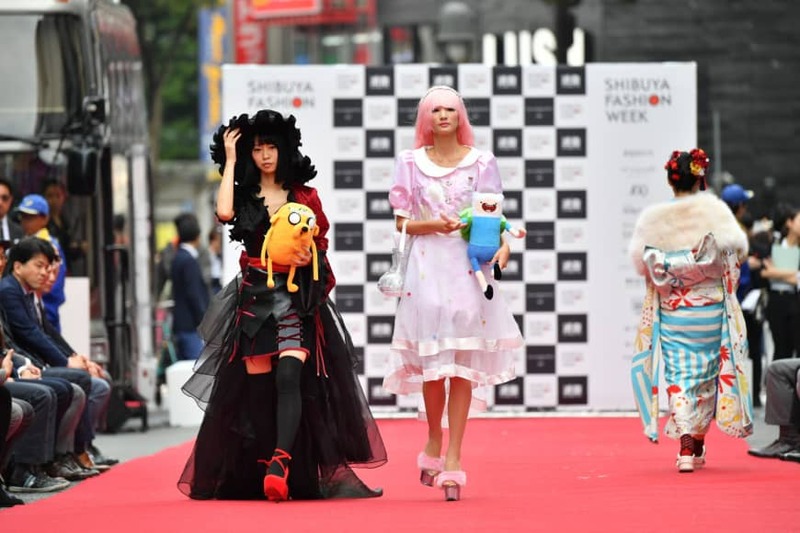 Tokyo’s fashion week, officially Amazon Fashion Week Tokyo, will be held from today (Oct. 15) through Oct. 21 at Shibuya Hikarie, Omotesando Hills and other various locations throughout the city. It will see more than 50 local and international brands strut their stuff on the runway, presenting their 2019 spring-summer collections to buyers and people of the press. But where does that leave the non-professionals who love fashion, will likely buy it and want to get in on the action? Amazon Fashion Week Tokyo has been gradually increasing the number of events open to the public, and this year is no exception. Here’s our picks of upcoming highlights — join the party and come dressed to the nines. Want to hobnob with real people in the industry while they take a break from the runway shows? Head to La Fondue in Omotesando on Oct. 18 evening. La Fondue is the name of an event established last year to answer the need for a party that is inclusive to families and finishes at a decent time so the last train doesn’t slip by. The space has a designated smoking area, pizza is for sale, and it hosts parties are from 6 to10 p.m. At each iteration, they include a pop-up installation, and for fashion week they’ve partnered with Italian legwear company Calzedonia, which will be outfitting the girls and guest drag queens in spring/summer 2019 stockings. 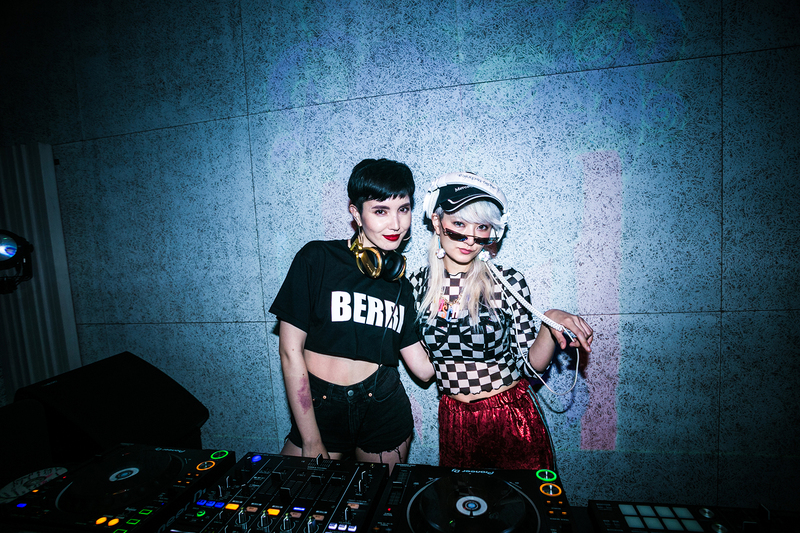 The lineup of DJs features Tokyo “it” girl Alisa Ueno, Sky Sky from LA, Kande from Seoul and many more who play a wide variety of sounds, including house, hip hop, funk, J-pop and ambient/experimental with live performances thrown in. Entry is ¥2,500, all ages are welcome and the dress code is “something gold,” so come ready to shine. For one day only, join Shibuya’s biggest block party, a free event on Oct. 20 when over 250 stores stretching from the station up to Harajuku’s Takeshita-dori throw in-store events or hold special sales. This is the 14th edition of the biannual event, and it aims to help runway culture meet what is really happening on the street. There will be a “parade” of models who will be take over stores and strut the latest trends in Shibuya and Harajuku styles. There is always a runway show or two held outdoors on this day, when spectators without invites may be able to get inside if they can get a spot in the line. Another big draw will be the flea market held at Kitaya Park, with goods from a gaggle of fashion personalities who are sure to bring incredibly unique pieces to the table. To help encourage shopping, there will be an online lottery for 1,200 people to win ¥1,000 to ¥5,000 gift cards by uploading a picture of the event’s poster and hashtag online. Finally, it has become a bit of a tradition to dress up the famous Shibuya Station Hachiko dog statue in a fancy outfit on this day, so be sure to look out for the haute pup. Although Shibuya Fashion Week, started on Oct. 11 at various shopping malls and department stores in Shibuya, its crowning glory is the runway show on Oct. 21., its last day. It will be graced by special guest Dream Ami of girl group E-girls fame, who will perform a song from her solo project. What sets this free runway show apart from those for professionals is the event’s focus on fashion “Made in Shibuya.” This means local stores will show off looks that represent the full gamut of Shibuya tribes and trends on their own popular shop girls and boys. If you’re looking to get a snapshot of the Tokyo street-style spectrum, then be sure to catch this show. What’s more, the runway will host Chono and Furugi-ni-Lace, two up-and-coming designers who have won accolades at the Tokyo New Designer Fashion Grand Prix. The event is from 1:30 p.m., along Bunkamura-dori. Get there early for a good spot. 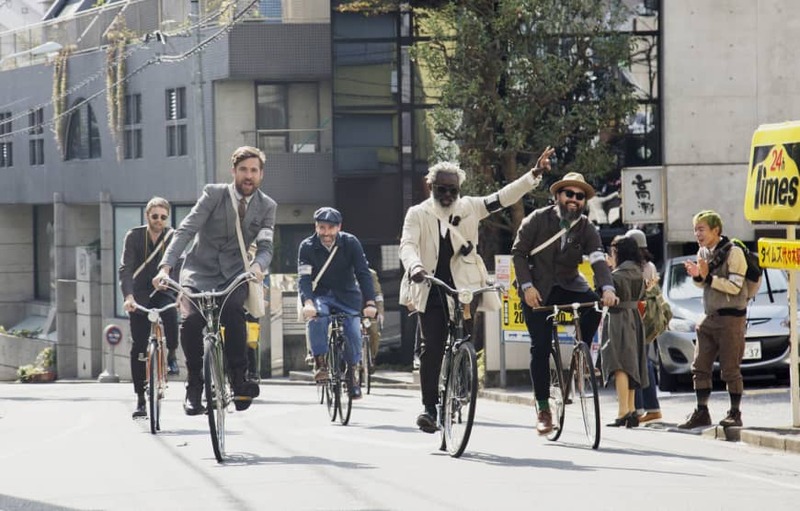 For something different, The Tweed Run is a simple premise with a quirky execution: Participants don their best brogues, jaunty caps and Harris tweeds and cycle around Tokyo with like-minded spirits (handlebar mustaches not required, but appreciated). First held in London by a group of men on Savile Row in 2009, there are now Tweed Runs held all over the globe, including in New York, Sydney, Florence in Italy and Victoria in Canada. Along with the cycle circuit, there are talk panels, a party, best-dressed awards and various pop-ups from bespoke cycle brands, clothing brands and others that fit with the theme. While London may be famous for its tweeds, Japan is famous for its denim, so Japan’s iteration also features collaborations with domestic denim mills, including one in Onomichi, Hiroshima which will concurrently hold a denim run. This year, a portion of profits will go to efforts to help those caught in July’s landslides in western Japan, but unfortunately, the deadline to join the cyclists has just ended. That shouldn’t stop you from keeping an eye out for the participants as they cycle through Shibuya on Oct. 21, though, and you can still contribute to the cause by purchasing related goods, such as limited-edition totes and ponchos via the website. 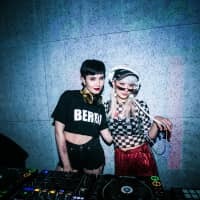 Amazon Fashion Week Tokyo is teaming up with Space Shower, Japan’s answer to MTV, for two nights of live concerts and fashion pop-ups at Shibuya WWW X. Day one features songstress Iri, while day two features Mono no Aware among others. The event takes place on Oct. 15 and 16, and tickets are ¥3,500 for each night. Visit www.spaceshowertv.com for more details. If you have more luxe tastes, department stores and malls in Tokyo’s Ginza area will be holding runway shows and events from Oct. 17 to 30. For details, see the websites of participating stores: Matsuya Ginza, Ginza Mitsukoshi, Wako, Tokyu Plaza Ginza, Ginza Six. As part of the Tokyo New Designer Fashion Grand Prix awards, the three winners of the amateur stage will display their 2019 SS collection from Oct. 18 to 20, on the 8th floor of Shibuya’s Hikarie building. No invite is required. Keep an eye on www.hikarie.jp for details.